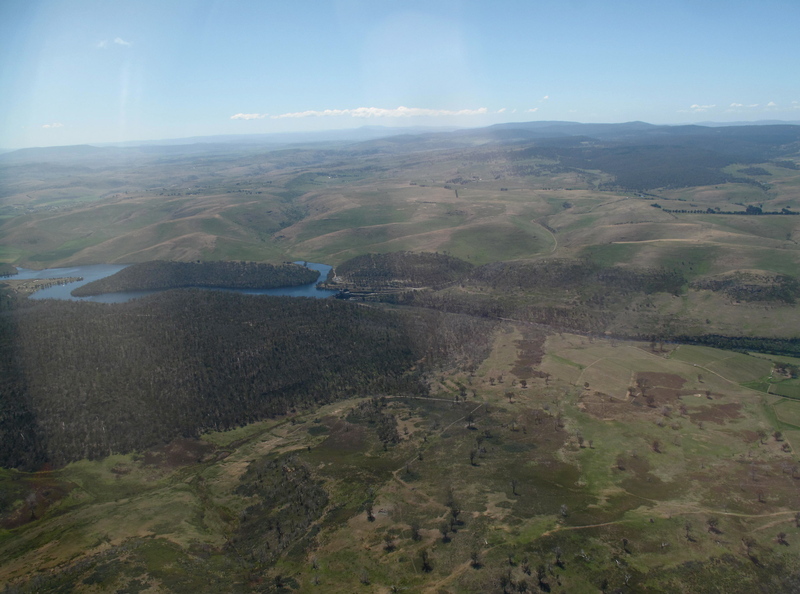 Chantale’s photo above shows the north western end (the furthest end from Hobart) of Meadowbank Lake. You can see the trail of Dunrobin Bridge strung across. Collecting historical information about Meadowbank is not easy, however the information I have located has added to my store of knowledge. Discover Tasmania provides information which encourages access to and usage of the Lake and its shores. Wikipedia gives background information about the Power Station. The September 2013 LAKE MEADOWBANK PLANNING PROJECT BACKGROUND REPORT prepared for the Central Highlands Council in partnership with Hydro Tasmania and the Department of Economic Development, Tourism and the Arts includes panoramic photographs of the Lake and explanations of many of its aspects. 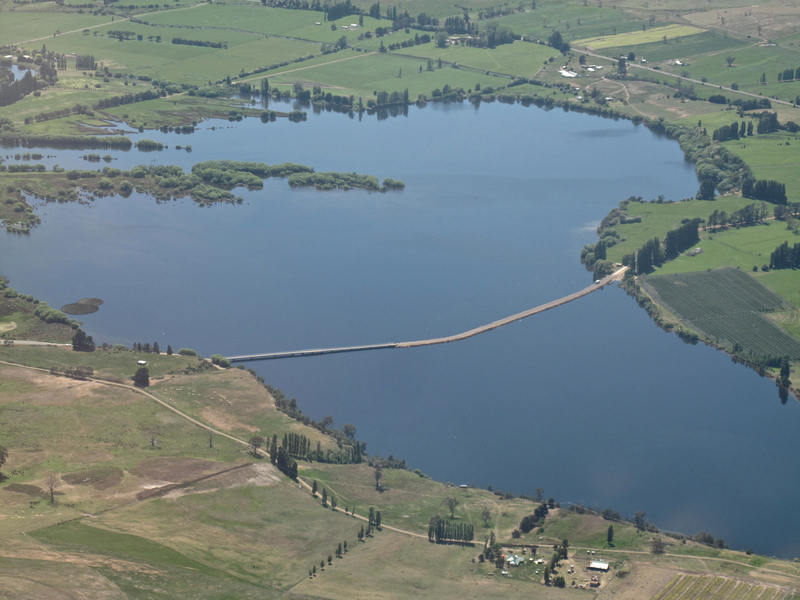 Hydro Tasmania provides information about Lake- side facilities and also about changing water levels. A little history associated with Meadowbank Farm since the 1970s can be read at this site. Perched between treed hills sits Meadow Bank dam, roughly 15 kms downstream from Meadowbank Lake’s far western end. Chantale’s photo shows the start of that water catchment behind the dam wall and the Meadowbank Power Station nestled at its feet. This entry was posted in Derwent River, Tasmania, Walking and tagged Anguilla Australis, Central Highlands Council, Department of Economic Development, Derwent Estuary, Discover Tasmania, Environmental Flows for the Lower Derwent River Final Report to DPIWE February 2002 Freshwater Systems, Gadopsis marmoratus, Hydro Tasmania, LAKE MEADOWBANK PLANNING PROJECT BACKGROUND REPORT, Meadowbank Dam, Meadowbank Farm, Meadowbank Lake, Meadowbank Power Station, New Norfolk, Perca fluviatilis, Recreational Fishery Management, salmon, Tinca tinca, Tourism and the Arts, Trout on December 18, 2015 by Tasmanian traveller.